Are you ready for the biggest musical phenomenon of the last decade? We’re talking, of course, about Hamilton – the musical that stormed onto the West End and captured the hearts of millions across the world before they’d even seen it!! Tickets for Lin-Manuel Miranda’s record-breaking smash hit sensation are NOW available for shows at the Richard Rodgers Theatre – get yours early to get the best seats, before they’re all snapped up!! Telling the story of the American Founding Fathers with the focus on lead character Alexander Hamilton, the Hamilton musical is a thrilling contemporary piece that brings ordinarily dry history to life in a way that has never previously been seen. Through the use of current hip-hop and R&B, Miranda injected the historical story with the youthful energy, excitement and vigour that befitted a tale of independence and freedom. The deliberately colour-conscious casting, with many roles played by non-white actors, does even more to make the messages of the musical relevant to today’s modern audience. The number of awards Hamilton has scooped up say it all. 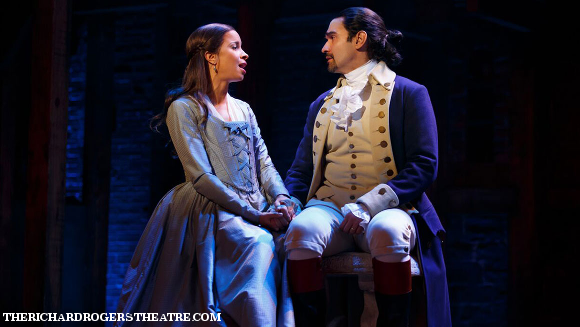 The first musical to achieve 16 Tony nominations, of which it won an incredible 11, including Best Musical, Hamilton was also awarded the 2016 Pulitzer Prize for Drama in addition to the Grammy Award for Best Musical Theater Album the same year! The critical response has been almost universally positive – a positively unheard-of achievement for any Broadway musical. Hamilton has been nothing but a truly groundbreaking musical ever since it made it’s Off-Broadway first appearance in February 2015. 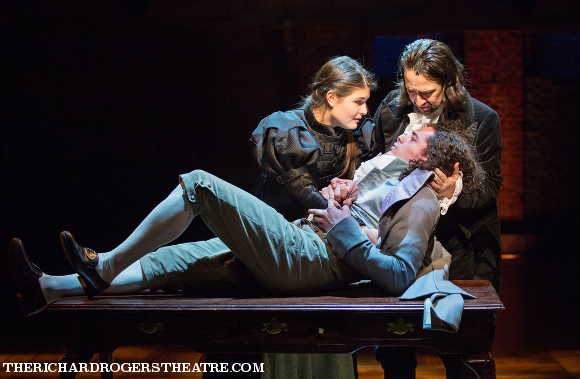 No theatrical production in history has ever caused such a stir amongst critics and the general public alike – if you only see one show this year, make it this one. Get your tickets to see the Lin-Manuel Miranda’s revolutionary Hamilton!